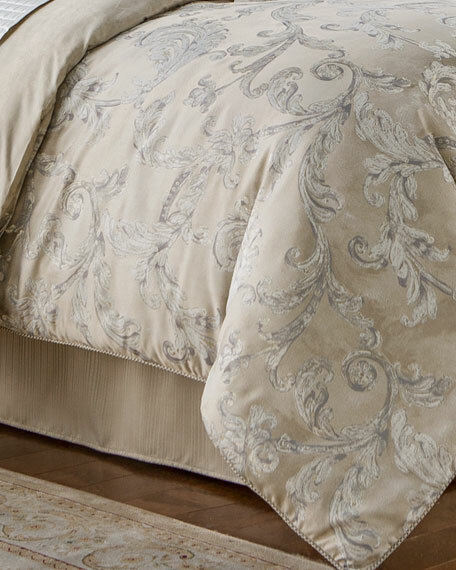 King 4-piece set includes 110" x 96" comforter, two 20" x 36" king shams, and coordinating dust skirt. 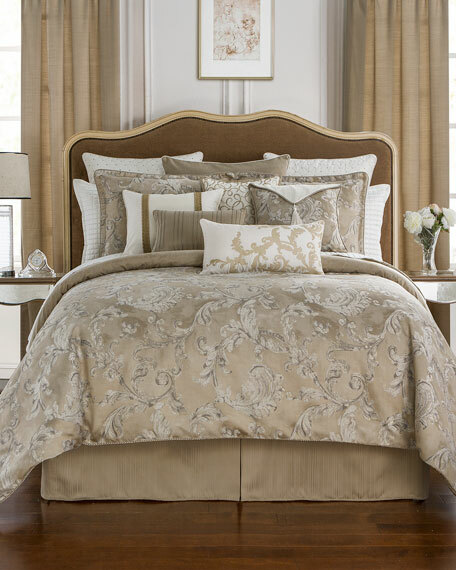 Made of polyester jacquard with leaf pattern in taupe, ivory, and gray with gold accents. Reverse of comforter is a watercolor design in the same color palette. Shams have cord trim; tailored stripe jacquard dust skirt has an 18" drop. 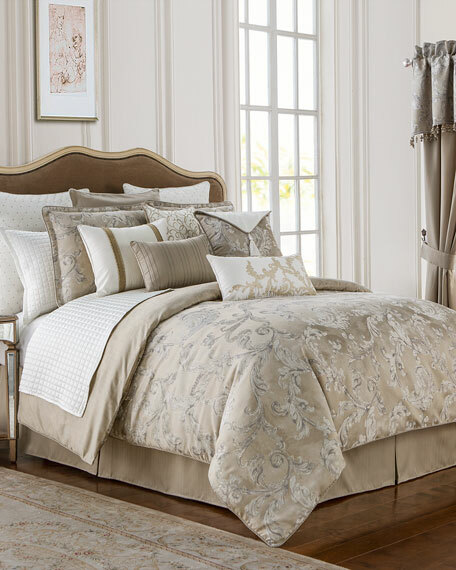 Queen 4-piece set includes 92" x 96" comforter, two 20" x 26" standard shams, and coordinating dust skirt. 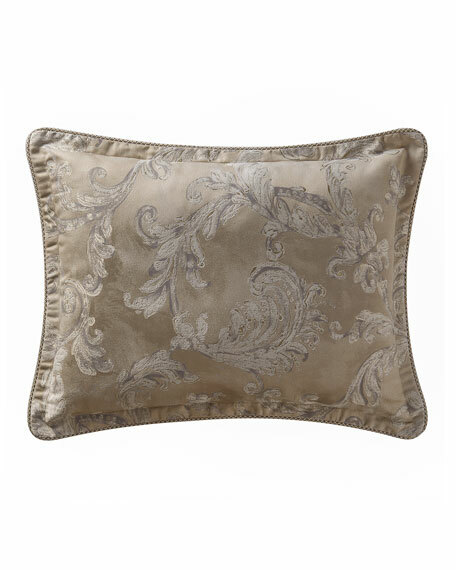 Waterford Chantelle Embroidered Pillow, 16"Sq. 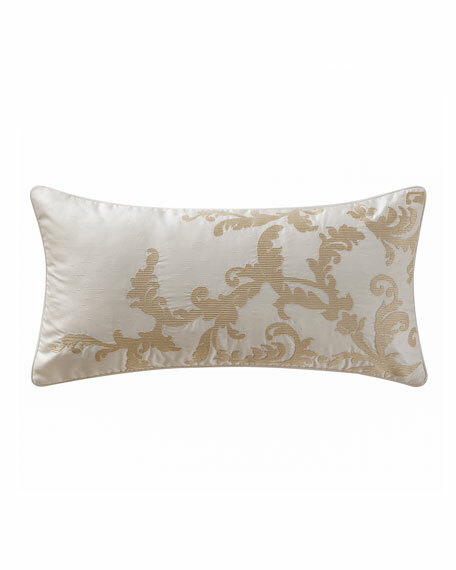 Ivory pillow with golden embroidery and flange. Waterford Chantelle Leaf Embroidered Pillow, 11" x 22"
WaterfordChantelle Leaf Embroidered Pillow, 11" x 22"
Ivory pillow with metallic gold embroidery. 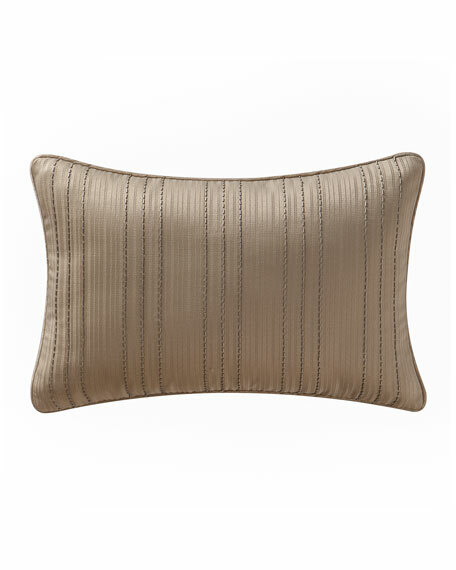 Waterford Chantelle Beaded Stripe Pillow, 12" x 18"
WaterfordChantelle Beaded Stripe Pillow, 12" x 18"
Jacquard stripe pillow with beading detail. 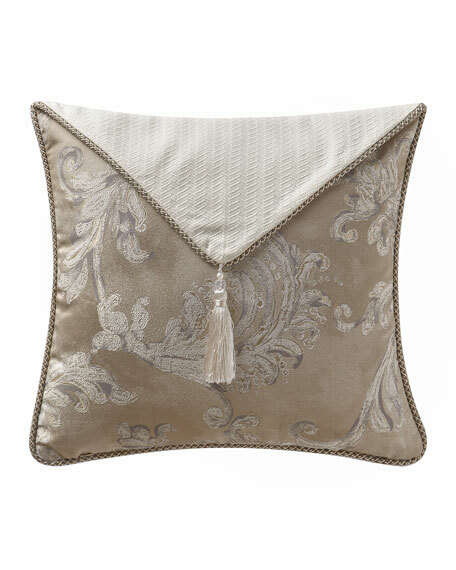 Waterford Chantelle Envelope Pillow, 18"Sq. 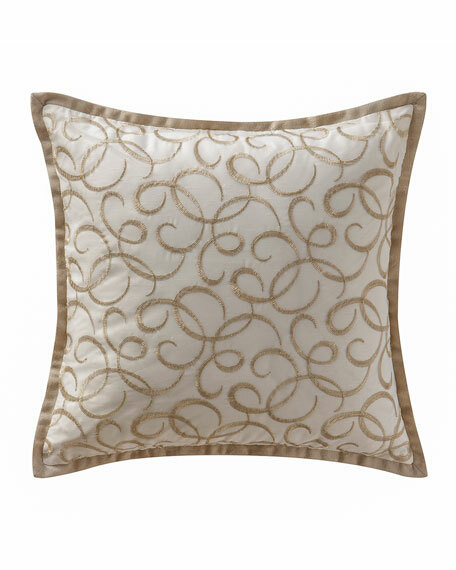 Leaf jacquard pillow with textured ivory sateen flap and tassel detail.